A love of music influences this writer's tech writing and product reviews. Google Sheets is a free, web-based program for creating and editing spreadsheets. Google Sheets, along with Google Docs and Google Slides, is a part of what Google calls Google Drive. It's similar to how Microsoft Excel, Microsoft Word, and Microsoft PowerPoint are each individual parts within Microsoft Office. Google Sheets excels* most with those who have modest spreadsheet requirements, work remotely from multiple devices, and/or collaborate with others. *Yes, that's a solid spreadsheet pun! Google Sheets is available as a web application, accessible through Chrome, Firefox, Internet Explorer 11, Microsoft Edge, and Safari. This means that Google Sheets is compatible with all desktops and laptops (e.g. Windows, Mac, Linux) that can run any of the aforementioned web browsers. A Google Sheets mobile app is also available to install on Android (running version 4.4 KitKat and newer) and iOS (running version 9.0 and newer) devices. 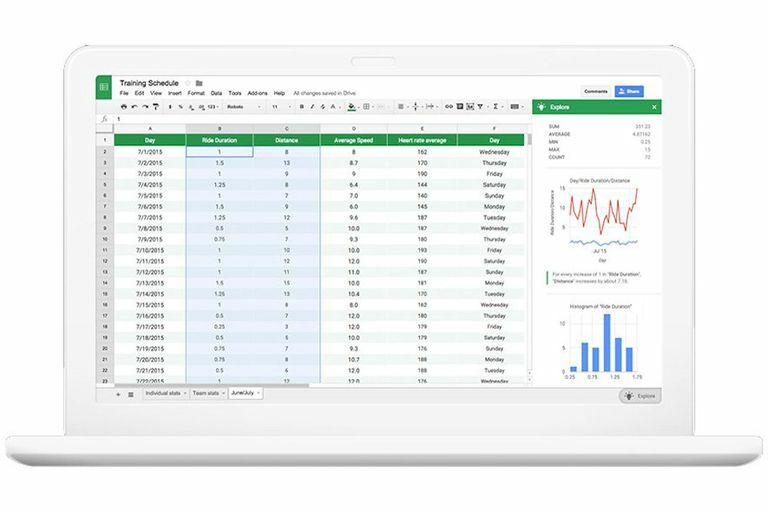 Users can open/import, edit, and save/export spreadsheets (including Microsoft Excel) and documents with Google Sheets. Excel files can be easily converted to Google Sheets and vice versa. Since Google Sheets is available through Google Drive, one needs to first log in with a Google account in order to create, edit, save, and share files. The Google account acts like a unified sign-in system that gives access to Google’s product catalog–Gmail is not required for using Google Drive/Sheets, as any email address can be associated with a Google account. Work with the same document every time — even from multiple devices, platforms, and/or locations — since files are stored in the cloud (Google Drive). Changes are automatically saved, and offline editing (via mobile app and the Google Chrome web browser) is also available. Share files with others (instead of emailing multiple copies back and forth) for collaborative, real-time editing, commenting, and chatting. Google Sheets’ built-in revision history tracks all changes (both the people and edits they made) and gives users the option to restore the file to an earlier version. Integration/access to other Google products, such as Google Forms (for creating/inserting feedback polls/questionnaires/surveys on spreadsheet presentations), Google Translate (cell functions for translating languages), or Google Finance (automatically finds and inputs specified finance info). Easy to learn/teach and is free for individual use. Google Sheets is great for modest requirements, but Microsoft Excel can create practically anything. Advanced functions/formulas ideal for finance, statistics, science, engineering, etc. When Would I Use the MODE Function in Google Sheets? What Is Syntax and How Is it Used for Spreadsheets?